Add a little sparkle to your girls night out with our Mother of the Bride iron on transfer. Iron it on easily yourself or let us do all the work for you. Either way you will love the beautiful results and great pictures later! 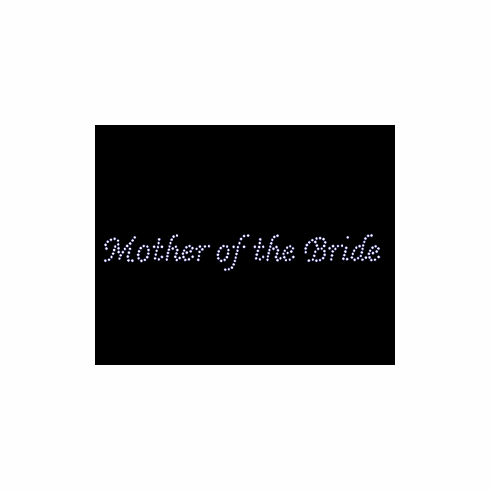 Fun "Mother of the Bride" iron-on. Made of clear crystals.